For a while now, 360 shooters have been waiting for the moment when 360 becomes mainstream. Well, it’s happening before our very eyes. Case in point: here are popular mainstream YouTubers are discovering how useful stabilized 360 cameras are, not for 360 videos, but as filmmaking tools for traditional non-360 videos (aka overcapture or reframed videos). UPDATE: Peter McKinnon now added to the list! There was a time when one of the most popular YouTubers, Casey Neistat, was really into 360 and was promoting the Samsung Gear 360 (yes he was hired by Samsung). However, at that time, he was using the Gear 360 for 360 videos. Since then, Casey hasn’t mentioned 360, except with one video about Rylo. But a lot has changed since then. 360 camera resolutions have increased and stabilization has improved tremendously. It has become possible to use 360 videos for non-360 videos with cinematic third person angles and decent image quality. Indeed, stabilized 360 cameras are now also called 3PV cameras (third person view cameras). Here are five YouTubers, who cumulatively have over 4.6 million subs, who are discovering 360 / 3PV cameras as amazing filmmaking tools. 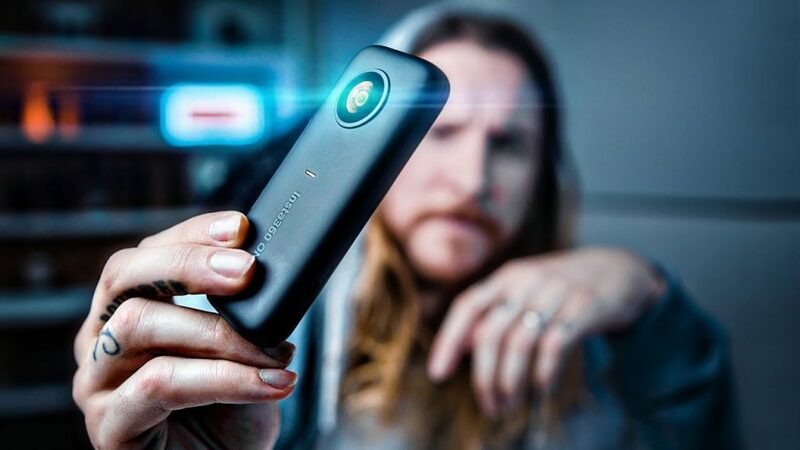 The newest addition to this list is also the biggest: Peter McKinnon, a YouTube star with 3 million subs posted a video about the Insta360 One X. He says that he was a 360 skeptic, and even admits that he didn’t think he’d like it and “kind of wanted to hate it.” Instead, he came away a believer. I am really looking forward to what Peter can do with 360 cameras as he gains more experience with them! Matti is a professional videographer, and I believe that’s why he was able to utilize the Insta360 One X effectively right away. My favorite part was when he noted that shooting with the One X made it fun to go snowboarding, because he didn’t have to think about the camera. Indeed, to me, one of the most important advantages of stabilized 360 cameras is the ability to shoot videos without aiming, which lets you focus on whatever you’re doing, instead of trying to get the shot. Jeven Dovey is an adventure filmmaker. When he went on a mountain expedition, he used the Insta360 One X, which he said he uses for telling a story. He likes being able to take it out and get the shot while being in precarious situations where a regular camera would be difficult to use. Ben Schmanke is a popular tech reviewer. He recently had the chance to try out the Drifter with the Insta360 One X (hey Insta360, where’s mine???). In the process, he discovered how versatile 360 cameras can be. You may have noticed that all of them were talking about Insta360 One X, and not other 360 cameras. That’s because Insta360 is the 360 camera company that is the most active in marketing its cameras. It is because of their marketing that there is a growing awareness of 360 cameras outside of the 360 camera community, which is still in its infancy. I’m glad these YouTubers are seeing how stabilized 360 / 3PV cameras are powerful filmmaking tools. I can guarantee you, they won’t be the last.